All thanks to technology…that every industry is adding more perks to their domain. Even the financial industry is no more an exception. Finance and IT, together are driving rapid growth with innovative services called Fintech application development. This new technology is constantly trying to improve the banking solutions, launched cryptocurrencies, improving payment processes, securing transactions. And slowly turning into an indispensable factor in stock, trading, equity, insurance, and risk compliance. In the last article, we were discussing the rise of fintech, its benefits, and the financial zones were fintech has shown great improvements. And also the areas where fintech app development can’t be a solution. So as you enter the basics, its time to know those fintech application development fields that will grow in 2018 and beyond. How investing in them is sure to give you some hopeful goals and win more customers by undergoing digitization. Moreover, Statista predicting an overall value in the fintech sector in the US to grow at a rate of 20.5% and total US$ 6,962,224 million in 2021. This makes easy to believe for the industry owners to invest heavily and generate reliable revenues. So let us hit the road and explore those fintech app ideas that are really reaping MOOLAHS! P2P payment apps are one of the electronic processes to transfer money from an individual to another. With the help of these applications, the individual account gets linked to the other user’s digital wallet. As soon as a user performs a transaction, the application records it and draws the money directly from one user to another. The game players for this service is none other than PayPal. They have their own process to store and deal with the money without setting up any link with any financial organization. Having a wallet-like feature allows users to store money before offloading it to some banks or sending it to peers. These are some of the P2P payment apps that involve the bank as one of its parties while conducting transactions. Though most banks come with their own apps, still they allow P2P payment apps to facilitate fund transfer through partner banks and credit unions. A good example of this stance is Dwolla. With the use of webcams, fingerprint, blockchain etc., fintech app developers have streamlined POS processing. Even it enhanced risk management and got on mobile to deliver an easier customer experience. 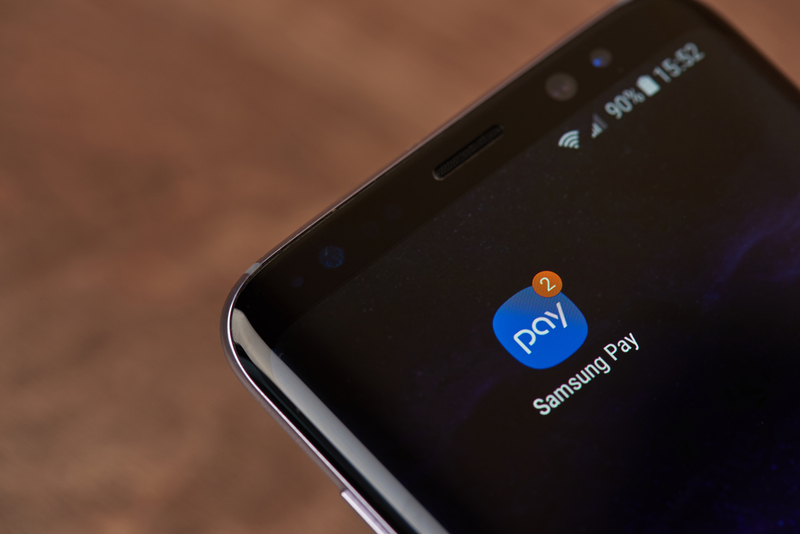 Read More: How to build P2P payment apps like Google Tez or Paytm? 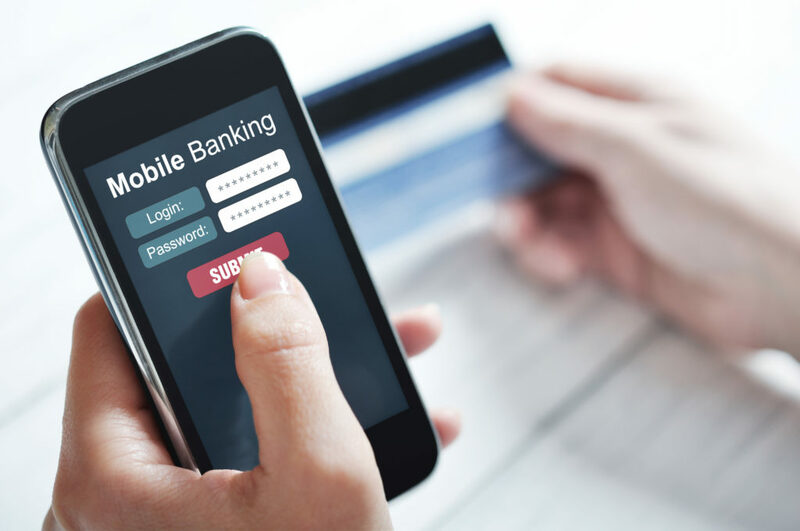 As every sector is going mobile, why not our banks? We millennials just hate standing in the long queue of the banks. So with the demand for the state-of-the-art mobile devices, new generation customer expects to do less and have more. They want their financial data at the tip of their fingers. Thus, this gave birth to fintech app ideas that handle all finances in a single touch. Today, 25% of the top 50 global banks already offer native mobile banking applications for their customers to win more business. And it’s predicted that 1.75 billion users will conduct the banking operations through their smartphones in 2019. In fact, the banking services for the unbanked have become one of the lucrative markets for fintech application development. Moreover, as per McKinsey, traditional banking is emerging in markets around Asia and Africa show 50% penetration rate. The whole banking sector desperately demands innovation and it is one of the untapped niches in fintech application development. P2P lending or person-to-person lending helps to issue or receive loans from individuals directly without the use of conventional financial institutions. These are the sites which both lenders and borrowers can use. P2P loan rates are both fixed or assigned with the use of a reverse auction. In the latter, potential borrowers assign the maximum rate at which they want to take a loan. And potential creditors bargain with each other offering funds at a lower rate. And to make things easier, the lenders are always looking out for ways to get more customers (borrowers). Fintech application development thus has taken P2P lending apps to a next level and increasing the customer base. And they provide P2P lending business with a new look. Unlike banks, P2P lending platforms do not have expensive intermediaries, so customers need not pay for the banking services, visit branches, convince the creditor to issue a loan. As the sums are not large, no deposits or guarantors required, so transactions through a finance app keep your business in full swing. For the future bargains, sum, deadline and interest rate which both the creditor and borrower can share. Just a user needs to register and fulfill a special form, which is much easier to do if a P2P business invests in fintech application development. Register to get a loan, get to see special rating to check user’s solvency and approve the loan – guess what that’s why this business is turning more towards building fintech apps. As P2P lending business charges less interest rate compared to bank and other microfinance companies, this sheds the paperwork. So you do not need to have a big premise, thousands of employees or office equipment. Developing a finance app can easily help to make your business beneficial and popular among the mobile users! The fintech app developers help to build personal finance apps that support both mobile and web services. All these apps help a user handle their finances, income, and expenditures in an easy way. The software enables categorization, data visualization, spending trends etc. Some of the personal finance apps even request access to an app user’s bank account, other data, and open banking API. One of the best examples of personal fintech application development is none other than Mint. But why we are saying that apps like Mint are essential and can keep you at the toe. Well, we have some pro-arguments indeed. With the help of fintech app ideas like Mint, you will be able to get access to your product anytime and anywhere. Use of responsive design will let you cater the service to more audience of different age. With fintech application development, new marketplaces seem to emerge and provide more ways to distribute your product. If you opt for cross-platform personal fintech application development double the chances to obtain boost conversion and get a picture of clients’ need and preferences. With the help of insurance fintech application development, the field has shown remarkable changes. Due to the use of mobility solutions, IoT, and business intelligence all the data gathered help to deliver personalized offers, recommendations, and dynamic pricing schemes. Moreover, with the real-time data, insurers can manage risks in an efficient manner and can boost ROI. Some notable Insurtech solutions such as BIMA or Metromile are one of the leading providers of insurance services. So any insurance company like them with the help of apps can easily improve their work process and customer experience. The mobility solutions act as an effective tool to their customers, eliminating the need for an agent to visit their place. And insurtech apps will work as a channel to reach out to customers anytime and anywhere. With the help of investment platforms, users can easily manage their assets in one place. 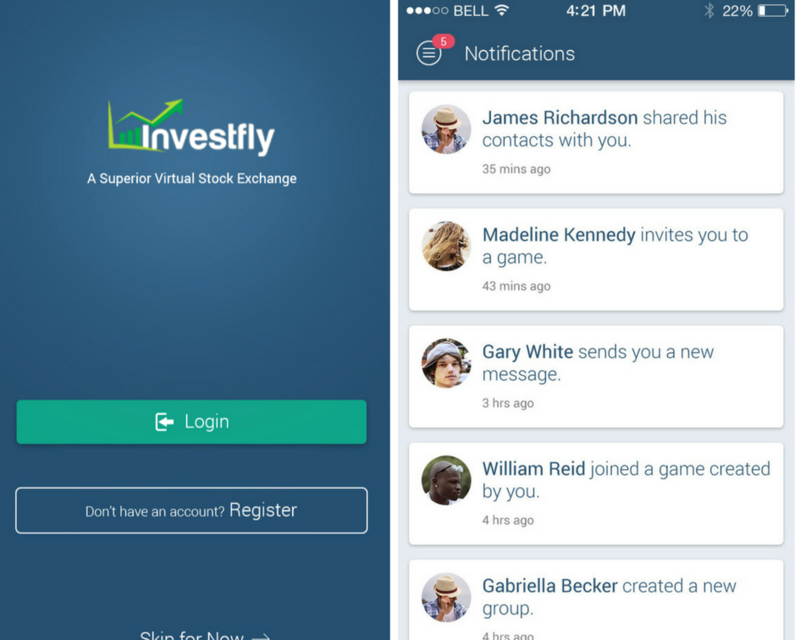 And if the investment platform gets on mobile, then things become far too easy. Among all the other fintech software development fields, investment and trading have shown growth in manifolds. 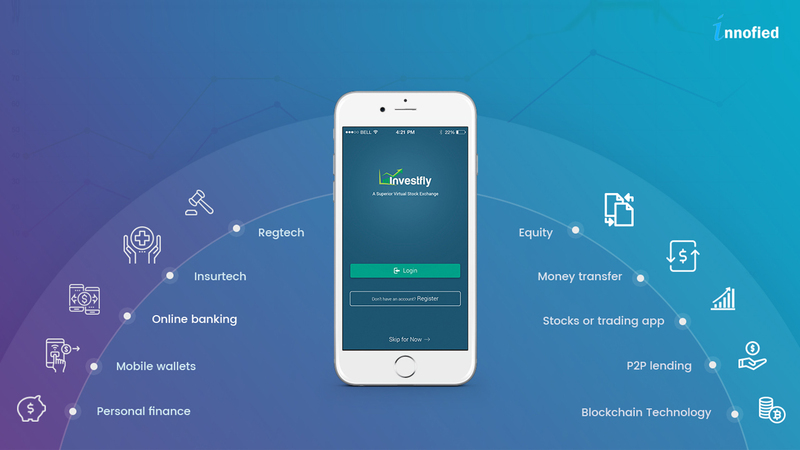 Whether a mobile or a progressive web app, users want easy features to buy, sell, hold stocks, shares, forex, cryptocurrency, funds and check their valuation. Addepar and Hedgeable are good examples of investment platforms. The former is a fast, secure and scalable investment trading application. It allows users to stay informed and take grounded investment decisions. Moreover, it is one of the leading investment platforms that let you capture and aggregate data from various sources. Yet it enables speed, security and better analysis using AI and business analytics. With Investfly, new, and veteran traders get access to a comprehensive suite of trading tools. These tools allow them to come up with trading ideas and apply them to strategies. Digital technologies easily changing the way people perform their transactions in the bank while receiving or sending money. The most successful remittance companies are currently leveraging blockchain, NFC, face and voice biometrics and other innovative technologies. Moreover, with international money transfer becoming so expensive and banks charging a good amount of fees, all led to the rise of fintech app ideas like Ripple and Transferwise. We have seen that remittance with Transferwise is cheaper and less time-consuming and thanks to all their smart strategy. You do not need to send the fund abroad. It is a peer-to-peer money transfer platform. Similarly, with Ripple, you can perform international money transfer in just 8 seconds as per Financial Post. We have seen that with the rise of startups, no of crowdfunding platforms are also rising. They have mostly mushroomed in the US and UK. As per Statista, the total crowdfunding amounts to 16.2 billion in the world. With the help of a crowdfunding platform, you can easily raise money for an existing or a new business using collective effort from a number of ventures of individual contributors. With the help of fintech application development, equity financing is paving faster ways to make more money. Some companies work hard to connect accredited investors with people who need funding. These companies simplify the fundraising process makes it easier for investors as everything is done online. Some of the leading names who have invested in equity fintech app ideas include Kickstarter, Indiegogo, and Seedrs. Moreover, with advantages such as decentralization, the immutability of records and fault tolerance of the system makes blockchain technology continue to boom. Some of the companies we should mention like Santander, which is a global retail and commercial bank using blockchain technology for international payments. Many companies are also implementing private blockchains to leverage benefits without sacrificing security and eliminating risks of espionage. Regtech is more targeted at solving regulatory challenges and problems of various innovative technologies such as big data, cloud computing, and machine learning. With the help of this fintech application development, we have witnessed improvement in a number of areas such as – risk in data collection, modeling, and predictions, monitoring the payment transactions, identifying the clients, legal persons, various types of payment transaction monitoring, trading in the financial markets and finding out new regulations. What made risk compliance fintech application development popular compared to other branches? Some common names include Trunomi that takes customer’s consent to use the personal data. Whereas, Suade helps the banks to achieve compliance with regulations and analysis. In which fintech application development field will you like to invest? Most of the finance-based companies take an effort to leverage fintech application development. They are creating technological solutions in areas like mobile payments, money transfer, p2p lending, banking, crowdfunding, trading, and more. The use of automation in customer-centric and back office jobs, fintech app developers have made the apps scalable and viable. Moreover, the use of data science, AI, chatbots and microservice architecture help businesses enhance customer experiences, risk management, and scalability. As well as involves larger audiences, streamline and speed up operational processes. If you think to develop a fintech application from the category we listed it will be better to get a quick consultation with our experts.